72 Draw Result 750 Rupees Prize bond check online from here. Draw was held in Hyderabad. Draw date was Monday 16th October, 2017. National savings of Pakistan organize the 72th qura andazi of seven hundred and fifty rupees prize bond. The reward for the winner of the first prize is of worth Rs. 1,500,000 and the Prize bond number is 960247. Second prize reward is of Rupees Rs. 500,000 and the lucky winners have the bond numbers of 024343, 323583, 883704. While the third winner get the amount of ninety three hundred rupees. You will be very luck if you get first or second prize of 750 rupees prize bond. 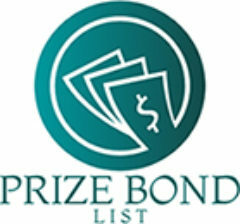 Complete list of Prize Bond 750 Draw Number 72 Result is available here. Total of 1696 prizes each for the winner of 3rd prize of 750 rupees bond. You can download the complete draw number 72 result of 750 rupees prize bond. How to Check / Download 72 Draw Result 750 Rupees Prize bond ? Complete procedure is mention below to check as well as download list of Rupees 750 rupees prize bond 72th draw result. Result of 72 draw of 750 prize bond is available here. You can also check Prize bond 750 Result 72th Draw Monday 16th October, 2017 from the National saving site. You can download full list of Draw number 72 of Prize Bond rupees 750 Result. Press Ctrl+p in order the the print of 72 Draw Result 750 Rupees Prize bond .